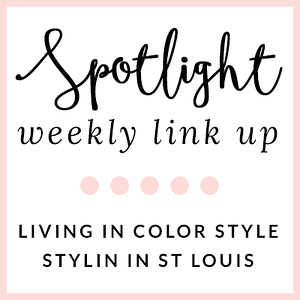 Stylin in St. Louis: Spotlight of the Week: Sequins and Sparkle…. Spotlight of the Week: Sequins and Sparkle…. Happy Thursday! This weeks Spotlight Weekly theme is sequins and sparkle! Sequins and sparkle are perfect for the upcoming holidays! Whether you add a simple necklace or a sequin top, it can make an outfit a little bit more fun! I love the details in an outfit, and adding a little bling can make that happen! Come share you sequin and sparkle look with Elle and I! Don't forget to enter the Oakleigh Rose gift card giveaway! You can enter HERE! 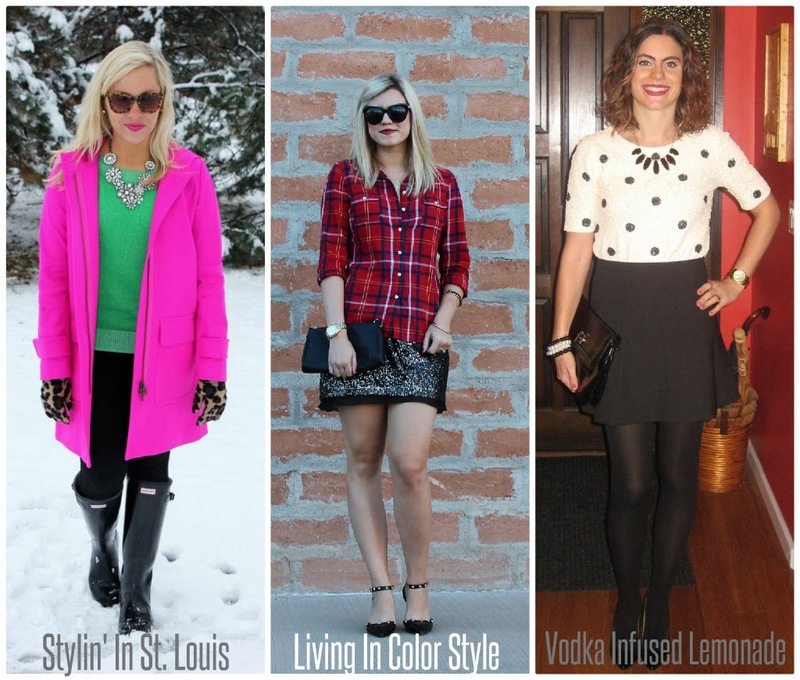 Also, my look from last week has been chosen as the Three-fer Thursday feature! 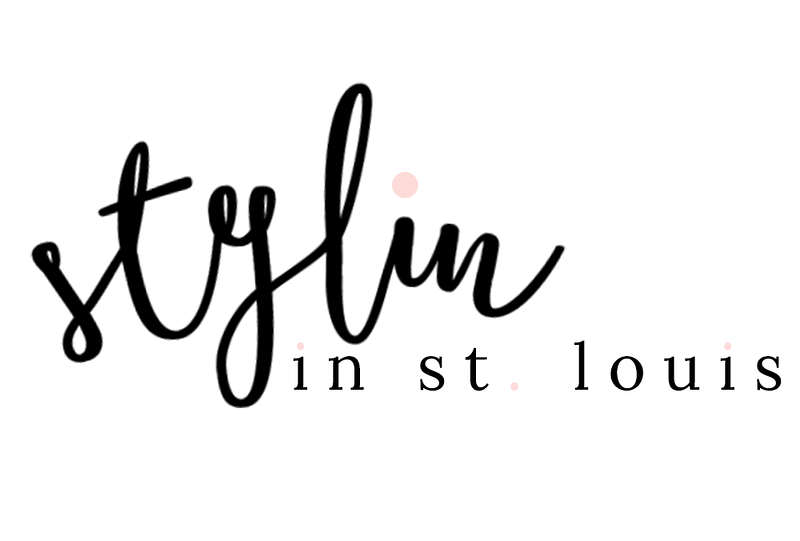 Be sure to check it out and linkup with Bethany and Meghan! 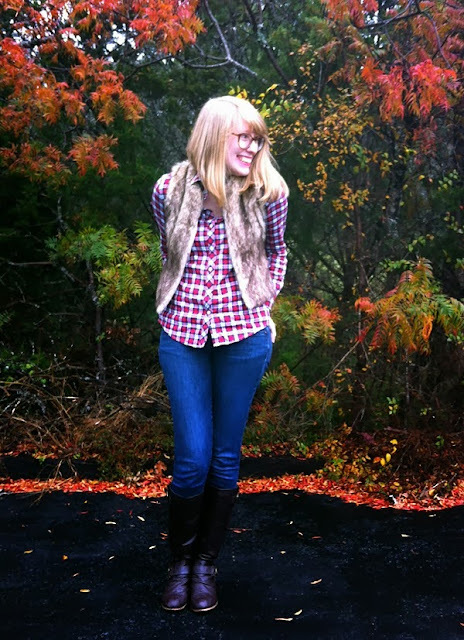 Spotlight: Our spotlight this week is Nicole from Writes Like a Girl! Elle and I love this plaid and fur combination! It is a perfect look for fall! Such an easy outfit to re-create! Just fabulous! Nextweek: We will be taking a short break the next two weeks! Be sure to check back January 9th where will be spotlighting Winter Coats! Happy Holidays! Thanks for linking up! See you in two weeks! Linking up with Agi and Three-fer Thursday! Fabulous choice of colors! You look truly beautiful! 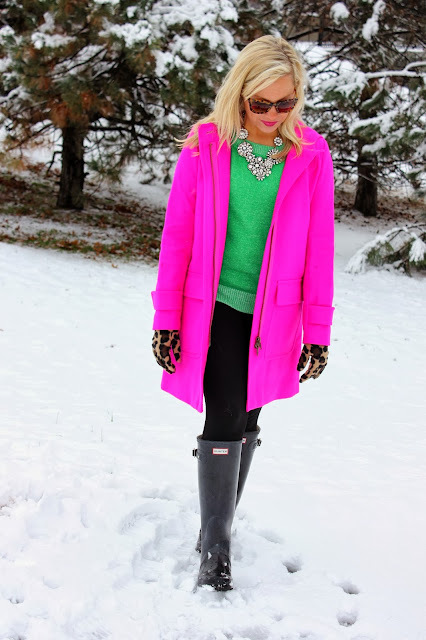 That hot pink coat is so gorgeous on you! Those gloves are seriously the cutest things ever. I love how they pop with all your gorgeous, bright winter coats! Thank you! They were only $5.00 at Old Navy! 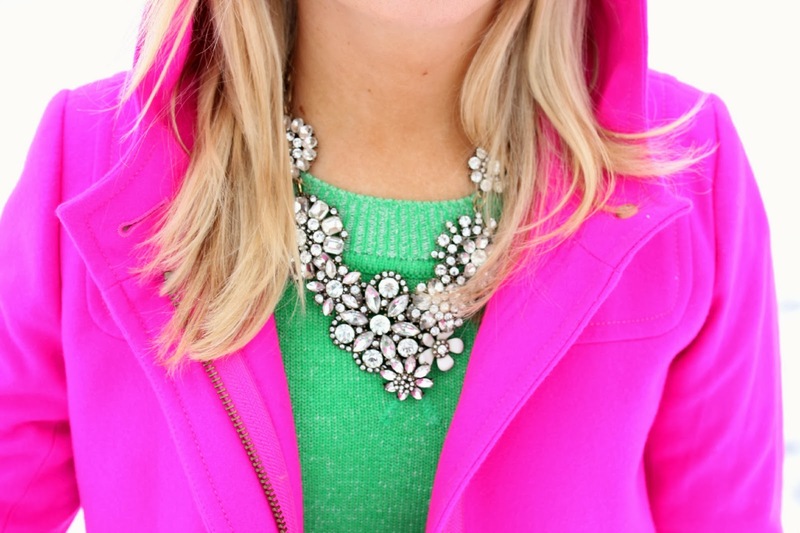 Gorgeous coat and necklace! Happy Thursday...XO! OMG that coat is gorgeous!!!! And I love your bright colors. You look fab! Oh my gosh I LOVE your coat! I asked for a pink coat for Christmas and after seeing this I really hope I get it!! Love your bright colors!! You look fab, girl! Your Sweater is Stunning. I love that Vibrant shade of Green. It looks awesome next to the Beautiful Fuchsia Coat. Beautiful Gloves & a Gorgeous Sparkly Necklace, too. Also, such cute photos by the snow.And I love Agi. Great Co-Host this week. Hope you like the Sparkly Holiday Look I linked up. Take a Peek. It has been a pleasure linking with you & Elle over the past few months, this year and even more so when I Guest Hosted a few weeks ago. Happy Holidays Jac!! Thanks Ada! You are so sweet! Thanks for the kind words! So very pretty!! Love the sweater and the color contrast!! 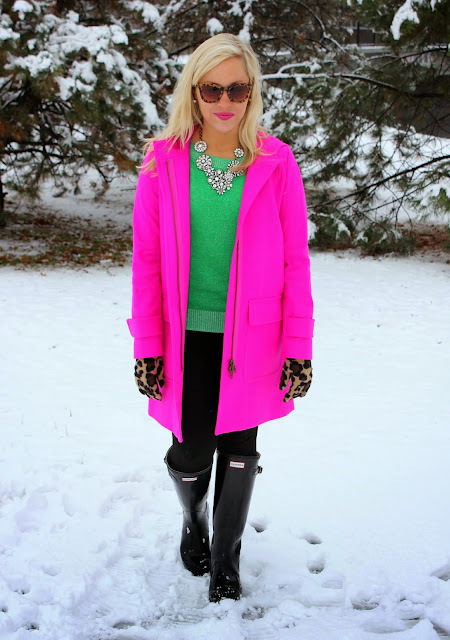 :) Thank you for hosting the link up..
Loving those gorgeous gloves, and that coat is just amazing. You're a beauty as always, Jacqueline! Thanks Elle! These gloves were $5.00 at Old Navy! You do color so well, I love how you keep using them in the winter. That pink coat is everything, love it. I love ths bright color combo and that necklace is perfection. Obsessed with your outfit. These bright colors look amazing together.